Nearly 30 years ago, PAX was founded as a small force for good. The organization's first headquarters was in a private home. The dream was to enable both deserving young people from around the world and their U.S. host families to share not only their customs, language, and points of view, but also the very essence of what it means to be family. During the first years, the program brought a small number of Spanish high school students to the U.S., working one-on-one to ensure a powerful, cross-cultural learning experience. PAX now serves 1,000 participants from more than 70 countries using those same values. Along the way, the organization moved into the loft of an historic 1880s renovated warehouse alongside the Byram River in Port Chester, New York, maintains an enthusiastic office staff of 30, and enjoys a network of more than 300 committed volunteers and 600 welcoming high schools throughout the U.S. To date, more than 20,000 students have successfully completed the PAX program. 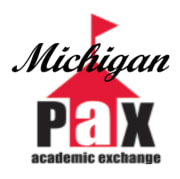 Would you recommend PAX - Program of Academic Exchange?